Geof Mercer is a former Reader in the School of Sociology and Social Policy at the University of Leeds. Postmodernism: back to the future? 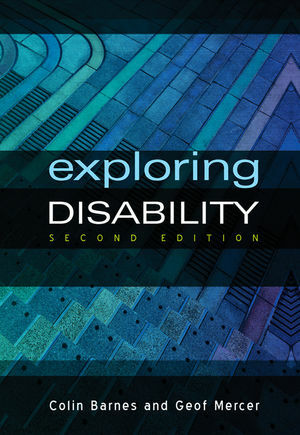 "The key debates around disability are given a thorough airing in this revised edition of a widely used text"
"If students and teachers want one resource to assist in their exploration of disability studies, then this is it. It's up-to-date, comprehensive and coherent, outlining the key themes and issues in a readable way. No-one studying disability on an undergraduate, postgraduate or profession training course should be without it." "A deep commitment towards the rights of people with disabilities within the social model of disability shines throughout the entire book, and drives the reader in exploring disability theories with interest and passion." "Exploring Disability is an important, up-to-date, critical and wide-ranging review of key issues that situates the debates and discussion within the growing literature on disability. Exploring Disability should be on the reading lists of many disability studies courses providing as it does the broad overview of where both the discipline and the movement are today. It is a must for academics, policy makers, researchers, and the disability movement."